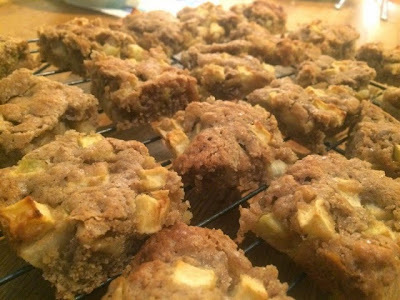 I love spending a Sunday afternoon baking up lots of sweet treats and goodies. The problem is there’s not enough people in my house to get through them all, plus I don’t want them sitting around for too long in case I eat them all, so I am that person that turns up on Monday morning with a box of homemade cookies or brownies and shares them round the office. Not only does it mean you’ve got something particularly tasty to have with your 10 o’clock tea, it’s also a good way to make friends in the office/get on the good side of your boss. 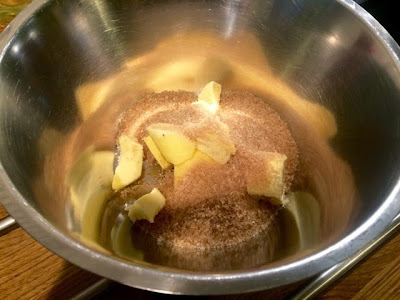 I’d got a bit bored of taking in the same old cookies and brownies (although they do always go down a treat) so I decided to make something a bit different and perhaps a bit more seasonal. 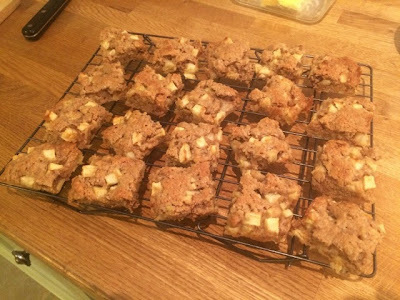 I wanted to do something with apples and cinnamon, sort of the flavours of an apple crumble, but when I know I’m going to be carrying them on the train and the underground I need to make sure it’s something easily transportable that isn’t going to spill, fall apart and can easily be squeezed into a tupperware. 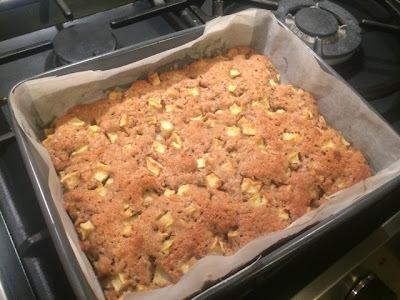 I decided the way forward was to do a tray bake incorporating my craving for apple crumble flavours and this is what I came up with. 1. Preheat oven to 180ºC and grease and line a baking tray. 2. 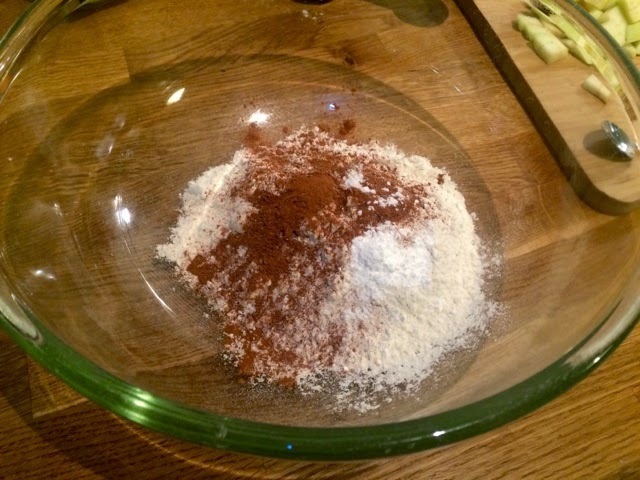 Mix together the flour, cinnamon, baking powder and salt. 3. 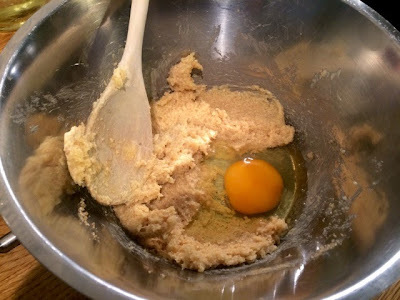 In a separate bowl cream together the butter and sugar before beating in the egg. 4. 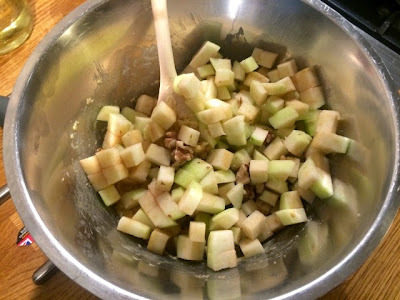 Throw the apples and walnuts into the wet mixture and coat thoroughly. 5. 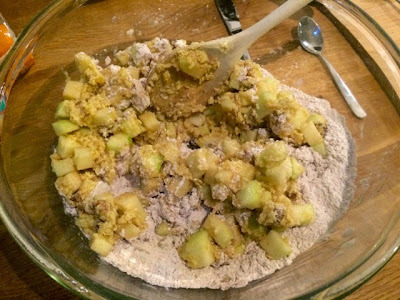 Add the fruity mix into the dry ingredients and fold everything together ensuring all the ingredients are completely combined. 6. 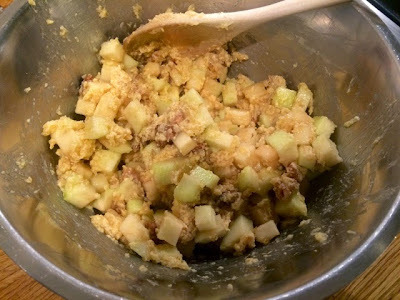 Spread your mixture flat across the base of you lined baking tray, making sure to reach into all the corners. Bake for 35-40 mins until slightly risen and golden. 8. 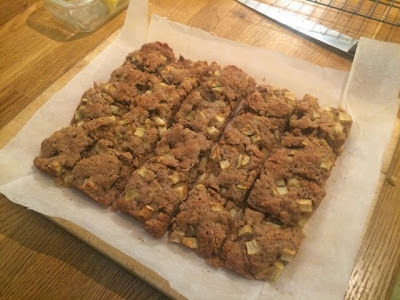 When cool enough to touch remove from the tray and cut into squares. 9. 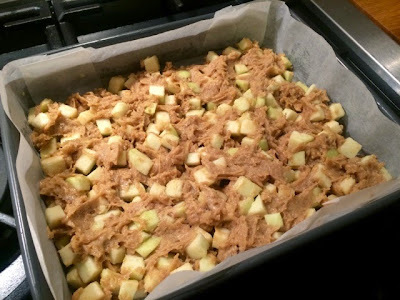 Transfer to a cooling rack and allow to cool completely before boxing up ready to take to the office.